It is almost impossible to detect the damage before it is too late. Adults hibernate during winter months and become more active in late-April to mid-May when soil surface temperatures rise above 65 degrees Fahrenheit. After emerging, they feed for a short period on suitable grasses and crops and then the female begins to insert eggs into grass stems. Most eggs are laid by early-July and when the larvae hatch, they tunnel in stem until they get too large. They then feed externally on grass crowns and roots. After 35-55 days, the larva is full grown and pupates in the soil under the thatch. It will then darken and the reddish-brown adult emerges in late-August through September. Infestations produce small dead browning spots in the turf. The soil under the damaged turf is solid, not spongy as in white grub attacks. The major problem with billbug damage is that it looks like a variety of other problems. To confirm it is billbug damage, grasp the affected turf and pull upward. If the stalks break easily at ground level and the stems are hollowed out or are full of packed sawdust-like material, billbugs are the culprit. Billbugs are some of the most difficult turfgrass insects to control because the adults' armor-like bodies do not readily absorb insecticides. 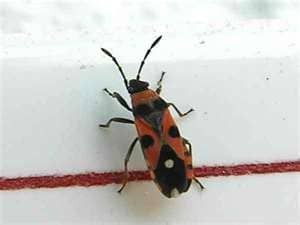 They also do not ingest much insecticide when they penetrate a grass stem while feeding. The larvae are also difficult to control because they are boring inside grass stems for much of their lives. It's recommended to remove thatch layer by aerating allowing drainage and fertilizing to penetrate the soil and exposing the billbugs to bird and insect predators. Applying systemic insecticides because of long residual in turfgrass and using resistant and/or tolerant varieties of bluegrass cultivars is also a way of controlling billbug infestation. Small, bright, orange-colored insects or large brown insects with white markings on their back. They have wings that help them spring long distances, but they cannot fly. There are usually two broods a year, one in June and another in early August, the later being the more destructive. Chinch Bugs are frequently the cause of much damage to lawns. Patches of the sod turn light grayish brown in color and die out. 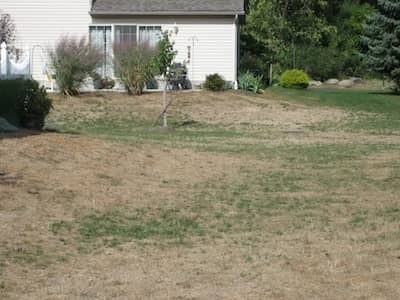 When chinch bugs are the cause of the damage, they can be found by spreading the dying grass with the hands to expose the crowns and top roots. Chinch bugs are sucking insects that remove the juice from the crowns and bases of stems and leaves by thrusting their beaks into the plant. When the insects are numerous, the grass may be killed. It's recommended to remove thatch layer by aerating which allows drainage and fertilizing to penetrate the soil and exposing the chinch bugs to bird and insect predators. 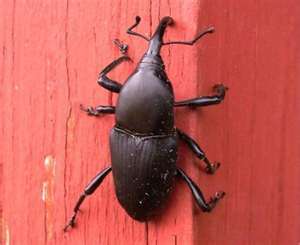 Apply insecticidal soap and granular insecticides. Maintain adequate moisture to increase the tolerance of turf which will promote a beneficial fungi and attack chinch bugs.